OMG Posters! » Archive Todd Slater's Close Encounters Poster Available (Artist Copies) - OMG Posters! 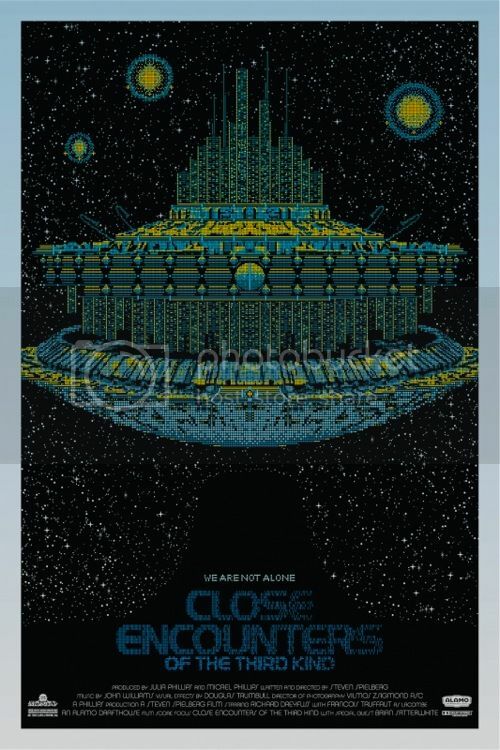 Todd Slater just put up artist copies of his Close Encounters of the Third Kind poster. He’s got the regular listed at $50, the variant at $75. These will disappear fast, visit ToddSlater.net. This one makes my eyes melt. I mean that as a compliment. +1. Woot! Really happy about this one after missing the opportunity when it first dropped. Awesome work, Mr. Slater. Awesome! I missed out on the first set. Does anyone see where the artist copies are listed?